Prolific author Russel Hoban has penned works of science fiction to children’s picture books and gained a massive following in the process. For this issue of Things and Ink, I’ve taken a look at one of his literary novels, The Bat Tattoo. Written from the perspective of three different protagonists, the story first introduces us to Roswell Clark as he climbs the steps of the Victoria and Albert Museum in London. His eye is caught by a lady in her mid-forties, uncomfortably sat on the concrete steps, tears streaming down her face. A big-boned woman, he didn’t strike her as your normal public crier, the upset teenager or immature girl looking for attention. He’s drawn to her and asks if she is OK but she bats him away with an anger he wasn’t expecting. He continues on and heads to the exhibit he has come to see but takes his time, getting lost among the other treasures the museum holds. When he eventually gets to the display he wants, there she is, the crying lady, sitting directly in front of the item he seeks. They are both there to admire a Chinese lobed bowl, painted with bats, believed to be a symbol of happiness. Roswell had gone there to photograph the bats for the tattooist he had chosen to imprint it into his skin forever. What he doesn’t know is the lady, Sarah, is one step ahead of him. Sarah Varley was that crying lady on the steps. A widowed antique dealer, she is always drawn to what needs fixing, especially men. Her last husband could never stick to anything but when he found a niche in making dolls houses, he soon took on more than he could deal with, ending things with an affair and then suicide. Since then she’s carried on alone but something in Roswell Clarke peaks her interest. Are they two broken souls that may just fit together? This beautifully written novel is not the classic ‘their eyes met’ story, there is far more subtlety and depth to the narrative, instantly making their relationship more believable. The rapport between the two main characters is almost a secondary plot line to how the past has shaped them and the decisions they are making in their current lives. While Roswell is compelled to continue his father’s work as a young man, his father’s death inspires a toy which then leads him to create strange, anatomically correct and sexually active toys for a private collector. Although Sarah Varley may come across as the secondary character in this novel, her perspective definitely made her my favourite. Her description of walking through the early morning streets of London and the atmosphere as traders set up their stalls is simply captivating. 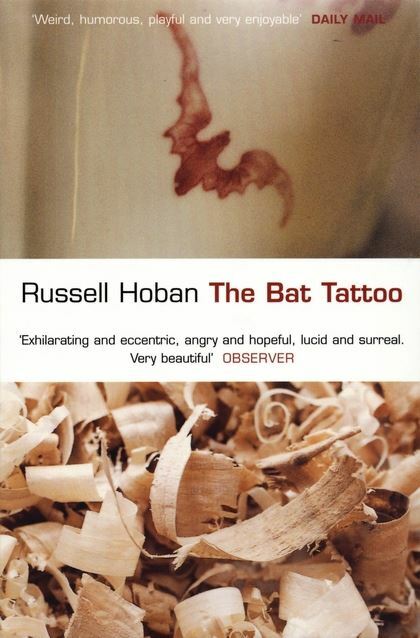 For anyone that loves authors such as Julian Barnes and enjoys a rich literary read, I would highly recommend The Bat Tattoo. With often dark philosophical undertones on inspiration, art and religion, this novel really is far more than meets the eye.